after some time, we’ve decided to improve our product, not just from technical point of view. 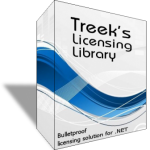 Today we’re presenting to you new changes within Treek’s Licensing Library (TLL) product and pricing policy. No more coupon codes, discounts for all. When using coupon codes, you may attract more customers, but you are also bit cheating customers who bought your product for full price. We’re still going to provide discounts on orders, depending on season and worldwide occasions. Such discounts will be automatically applied to all TLL orders. We’re starting this new pricing policy with nice winter discounts! Source code of TreeksLicensing2.dll and LibraryToolbox2.exe is now available for purchase. We trust our product. Security of TLL is not based on hiding facts, but on strong industry knowledge. For this and some other reasons, we’ve made TLL source code available for purchase. We have new purchase process. Together with our latest technical improvements, we believe, the TLL is now ready for year 2019 as the best licensing management solution on the market. 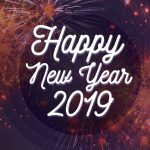 Jan Drozd software wishes all the best in 2019! Thank you for staying with us during 2018 and we hope you’ll keep in touch with us also in the future. There are some changes we would like to announce. For long time, we were providing Treek’s Cryptographic Messenger service to individuals and companies. Even if this product is good and technologically advanced, it didn’t find enough customers. It is always hard decision, but we believe this is the right one. Development of TCM will be stopped since 2019. 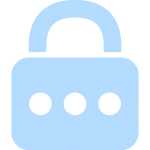 We’ve released a minor patch for our password manager app. Generally, we’ve fixed some problems and added small number of new features. 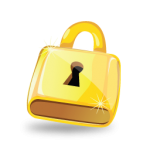 Fixed password security advisor: The older discontinued API for password leakage check was replaced with new one. Now only first 5 chars of password hash are sent to the server with leaked passwords DB. Added option to check if database master password was leaked during widely know security breaches during database creation. Recently, we have noticed that when it comes to discussion about usage of TeamSpeak, Discord, Ventrillo and other VOIP apps on social media, there is a lot of flame and generally its really interesting how strongly are users defending the communication platform they use. 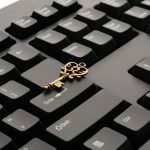 As we are bit experienced in providing communication software and services, we decided to put our thoughts together in this article. First things first, we do provide TeamSpeak server for friends and general public and do not provide other services (Discord, Ventrillo server). We will try to explain reasons why we’ve chosen TeamSpeak over different platforms in this article, however, we will also try to stay correct, factional and see the positives of other platforms. This article is not intended to be advertisement of any platform and even this is not advertisement for our TS server – if you read our TS3 server usage terms, you’ll find its completely non-commercial. We’ve released one of our smaller projects: JDSW Outlook addin. Have you ever missed feature allowing you to assign e-mail to specific directory by simple search? Well, if yes, than you’re not alone. We were missing it too. For users with a lot of directories we’ve released simple to use addin allowing to do so within MS Outlook for Windows. Feel free to download it and get more information from its product page. In one week, the GDPR (General Data Protection Regulation) will come into practice and each business have to prepare. Of course, we took the steps to have GDPR compliance. 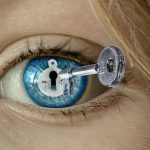 GDPR is more restrictive and generally describes how we have to treat your personal information we may process. It gives power of control of your personal data to you and we have to respect that. On top of it, we always did and still do our best to protect any personal data we may need to process to provide our services. We collect and process only data necessary for providing our services to you. We have records of all places, where your personal data are stored and upon request, we’ll provide all personal data we have about your person and all the information on how it’s processed. All of your personal data are stored on servers located in EU. All of our web services encrypts the traffic and thus all personal data you may transfer to us are encrypted during transfer. You have the so-called right to be forgotten. You may request, without providing a reason, at any time, the deletion of your personal data from our systems. To do so, please contact us. Please note that we must keep some personal data anyway due to the applicable law. This means that instead of data removal we may limit your data processing. Especially in case of tax law, necessity to have personal information required for fullfillment of the business contracts or due to any other legal requirements. In such case, we’ll inform you about this situation. We typically remove your data upon request as soon as possible, max. within 30 days. For any GDPR inquiries, feel free to contact us. In less than one week, we will launch the project dedicated to Czech and Slovak players of competitive computer games. We’re glad to announce that we’ll be the first platform in Czech republic to provide such service to users. We’re providing 10% discount on all TLL orders. To get the discount, simply use the following code before PayPal checkout. The discount is valid until the end of June.